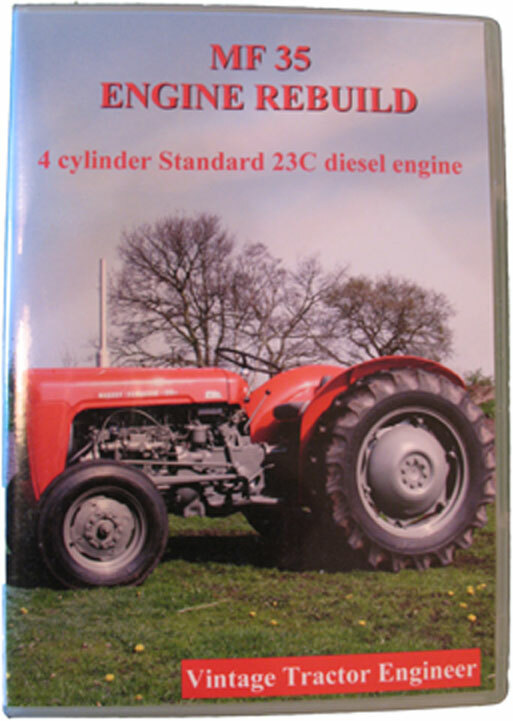 Home/Questions And Answers/Should I Buy A Petrol Or A Diesel Tractor? It depends what you want it for. The diesel engine tractors tend to be worth more money and are more desirable. The fuel is cheaper to buy, if you are using red diesel (gas oil). There is much less tax on it – this is in the UK. The diesel engines tend to have a bit more torque as well, so would pull better at lower revs. So if you intend doing lots of ploughing or other hard tasks then go diesel. If you will only use the tractor ocasionally and fuel usage will be minimal, then a petrol will be fine and the tractor will be cheaper to buy in the first place. You can also get tvo engines. You can’t buy tvo any longer, so you have to make your own TVO. Some people find this a bit of hassle, but if you are only using the tractor ocasionally then it isn’t too much of a problem. There are also some laws on mixing and using TVO. 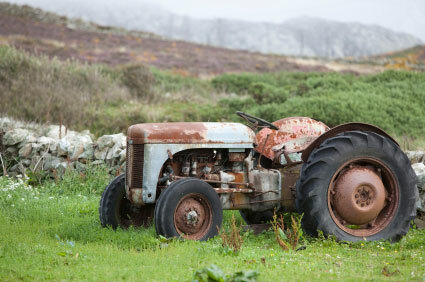 One advantage of buying a petrol engined tractor is that many of them are in good condition. When they got superseeded by the diesels, the farmers really stopped using them so much as the diesels were better. As a result, many of the petrol engines are still in good condtion and have not got worn out. Conversely, most of the diesels were such good tractors that they were worked hard for many years (and some are still used commercially on farms). Many diesels have had the engines rebuilt and some of them have not been rebuilt very well because many local motor mechanics didn’t understand the quality of work that was necessary. OK, so that’s a bit of a sweeping statement, but we have seen so many that have had poor quality rebuilds. 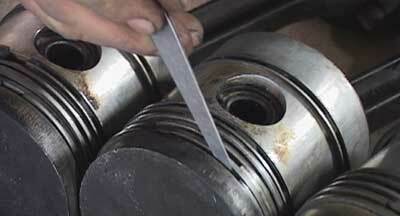 There are many other diesel engines that are currently in need of a rebuild. The advantage there is that you can make sure that it is done correctly. The diesels are more expensive to rebuild than the petrol engines because of the cost of reconditioning the injectors and fuel injection pump. This is a specialist job, and so isn’t something you can do yourself (special tools, specialist knowledge and a test bench etc. needed). One advantage of a petrol engine is that they run nice and quietly and they are good for starting in cold contitions (although they can still have their starting problems!!). Also be aware that in cold climates you will need to have additive in the diesel otherwise it will wax up. Another thing to be aware of is the condition of the tyres. If they are perished then a replacement set can add quite a lot to the cost of the tractor. 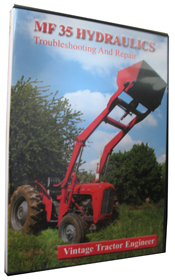 Here are some links to other websites which have information on these Ferguson tractors. They are absolutely great tractors and you will be pleased with either petrol or diesel. It is amazing and a testament to the engineering and build quality of the TE series that they are still in operation today, over 70 years after they were built! The TE Fergusons don’t have live drive hydraulics. What does that mean? The drive from the engine goes through the clutch and on towards the rear end of the tractor. Here it drives the gearbox to propel the tractor, but it also drives the pto and the hydraulic pump. There is one problem with this design. When you put your foot on the clutch the pto and the hydraulic pump will stop turning. Most of the time this wouldn’t be a problem. But imagine you are cutting grass with a pto driven topper (do you call them a bush hog? ), if you depress the clutch pedal at the end of the field because maybe you are going to reverse to turn around then the pto will disengage until you let the clutch out again. This set-up can be a real probem if you have a front end loader on the tractor – as when you press the clutch the hydraulic pump will stop pumping. The Massey Ferguson 35 tractor with dual clutch (also called live drive) overcomes this problem. Be aware that you can get single clutch versions of the MF35. It depends what you are dong with the tractor if this would be problem for you or not.